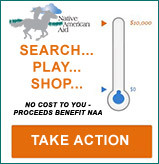 Native American Aid programs (NAA) serve thousands of Indian people suffering from hunger, isolation, and poverty on reservations in South Dakota and surrounding states. In these remote areas unemployment often exceeds 85 percent, and average annual income may be as low as $2,600. Substandard living conditions, poor nutrition, and lack of health care take a heavy toll on the very young and the very old. If your family has beds for sleeping, fruit for snacking, and soap for washing, then you are wealthy beyond belief compared to most Native Americans in the northern plains states. 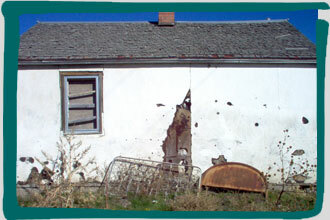 and Elders living in substandard reservation housing. In these deplorable conditions, NAA offers Indian families a sense of hope and the comfort of knowing they are not alone in their struggles. How can I help? Provides emergency clothing and comfort items for children who must be removed from their homes due to abuse and neglect. Assists impoverished seniors by providing toiletry items, under clothes, blankets, and other necessities. Delivers nutritious fruits and vegetables to struggling Indian families.